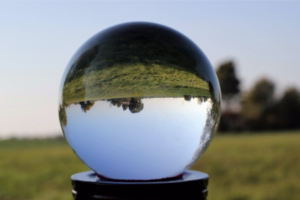 When does your crystal ball tell you is the best time to buy? Does it tell you to wait to buy a new home in the spring? Wait until summer? How about fall or winter? Does it say a year from now is when the market will be right for you to purchase a new home? They say in life only two things can be said to be certain – death and taxes. I won’t put real estate price increases and interest rate increases on that level, but I think it’s safe to say that you also cannot put decreases at that level of certainty either. In the short term, if either or both of these predictions end up being true, buying now rather than later makes sense financially. If you are considering buying or selling a new home and want to work with a trusted agent who will educate you and who will help you navigate the market, please call The Peters Company. ← Host a Stress-Free Thanksgiving!